newspaper’s publisher Glenn Lall and its Editor-in-Chief Adam Harris, were yesterday given two more weeks to provide the court with information that was supposed to be submitted more than three months ago. 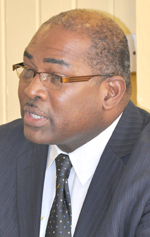 Justice Brassington Reynolds, who is hearing the civil matter, exercised leniency and waived cost on the former President’s lawyers since the matter had been suspended for some nine months due to action the plaintiff’s attorneys had promised to take. 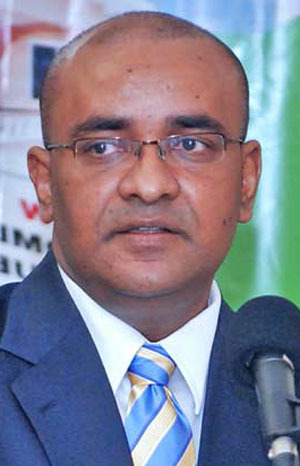 Attorney at law, Sase Gunraj and Senior Counsel Bernard De Santos, are representing Jagdeo. When the matter was called at the High Court yesterday, Gunraj told that court that his senior colleague has been engaged in the criminal assizes and he (Gunraj) has not been able to get guidance on how to deal with the current happenings in the case. He said the criminal matters which De Santos, SC, is involved in, seem somewhat “convoluted”, and he (Gunraj) pointed to time constraints. De Santos and his junior were to appeal the amendment of the defence’s case. They also had to provide an amended reply, but none of this was done within the court’s suspended period. Additionally, the court was told yesterday that the plaintiff is seeking to re-open his case in light of the defence’s amendments. evidence that was being brought to justify statements; such as the former president restricted Afro-Guyanese from prime jobs. To justify the evidence, Attorney Nigel Hughes, who is representing the defendants, said that he would have to amend his case to include justification of the evidence. The court accepted arguments and granted leave to the defence for their amendment. De Santos said that the plaintiff would appeal the case and they were given six months to do so. After the six months expired, Hughes submitted the amended defence which necessitated the amended reply which the plaintiff did not provide. When the court sought to institute cost on the plaintiff, Gunraj argued that the defence should also be made to pay cost, since in the middle of the case they are amending, and he brought out further the issue of prejudice to the plaintiff’s case. However, the court reminded that the issue of prejudice in allowing the defence to amend had already been argued and dealt with. Gunraj thus pointed out that other requirements are therefore necessary since the plaintiff is tasked with reopening his case among other things. Hughes then defended his position, stating that the chronology of events never changed in the case and the plaintiff’s side was aware of all that was happening. He pointed out also that the issue of prejudice was already ventilated. Hughes went on to request that in re-opening its case, the plaintiff’s lawyers must specify on what basis and what specific aspect of the defence’s amendment will be challenged, since according to him, the defence’s arguments have not changed. will have all documents ready. On the next occasion the plaintiff’s lawyers will have to provide their amended reply, and determine whether they will re-open their case and on what basis. 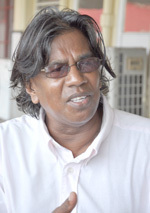 Along with Kissoon, Kaieteur News’ Publisher and Editor in Chief, Glenn Lall and Adam Harris are being sued by the former president for more than $10M.